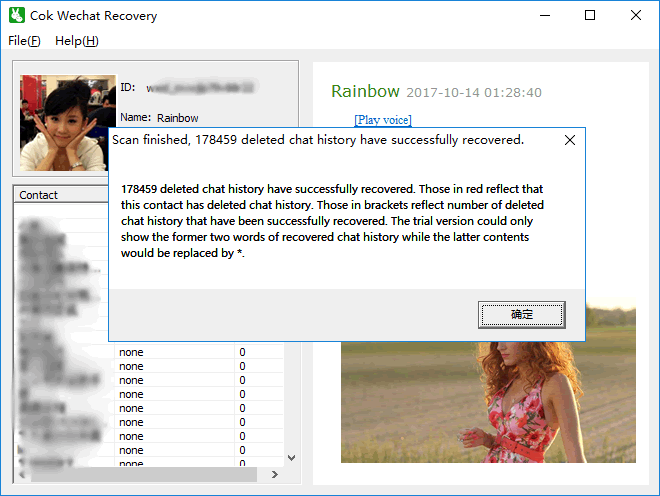 In order to export the WeChat chat history from iPhone to computer, it needs several software for help. 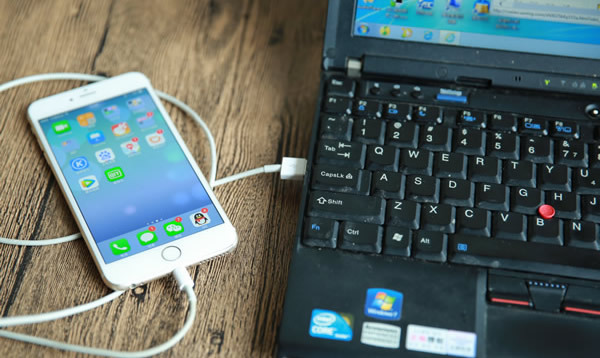 You just need to follow the operations in this article step by step, which is suitable for all IOS systems. In other words, it is suitable for all iPhones and iPad. 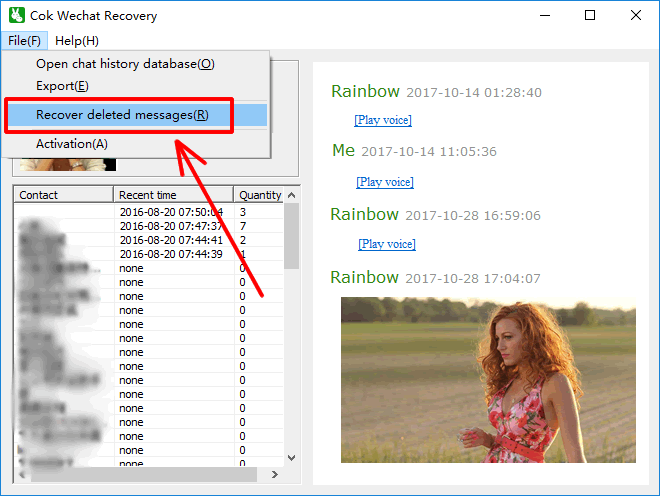 Each iPhone and iPad could export WeChat chat history to computer to view and recover the deleted chat history according to the following steps. 2. Install and run "iTunes" software ( Download now ), click the phone icon at the top left corner, choose "This computer", click "Back Up Now" and then click "Don’t Back Up Apps" on the pop-up window. Back-up would export all data in the iPhone to computer and thus it would take quite long time. When the progress bar on the window title vanishes, back-up of iPhone data is finished. Back-up would take unequal time from more than ten minutes to several hours. 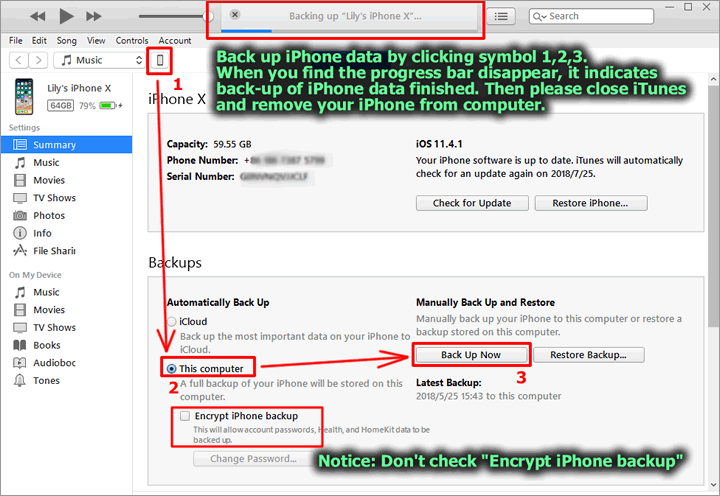 Attention: you can not check “Encrypt iPhone backup”. 3. 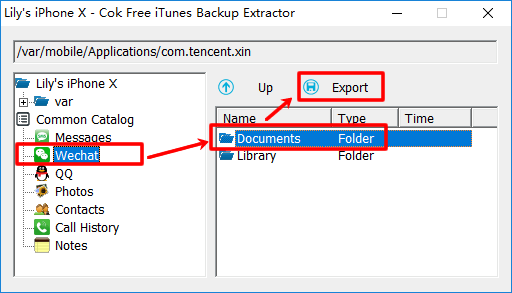 Install and run Cok Free iTunes Backup Extractor on your computer( Download Now ). 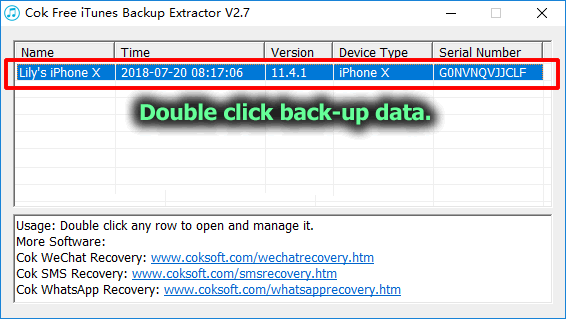 Double click iPhone back-up data. 4. Click "Wechat" item and select "Documents" folder. And then click "Export" button to export this folder to any folder of your computer. 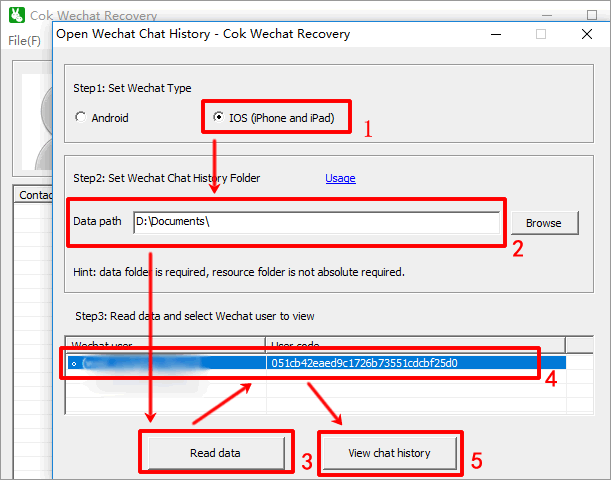 5. open "Cok Wechat Recovery" software, set the WeChat type as "iOS(iPhone and iPad)" and data path as the folder "Documents" that is exported just now, click "Read data" button, choose one WeChat user that you want to view and then click "view chat history" button.